What will the world of Wheels be like in 30 years? Last month, Toronto Star Wheels observed its 30th anniversary. Yes, hard as it is to imagine, it's been 30 years since the late Dennis Morgan was asked to create a section for the SaturdayStar in which all of the automotive advertising of the day could be accommodated. Called Wheels (after Arthur Hailey's 1971 novel about the automobile industry), it was an instant success and there was soon as much editorial content in it as there was advertising. Over those 30 years, this section traced the evolution of cars, trucks and motorcycles. This column today is about where the world of Wheels might be going in the next 30 years. To find out, I talked to two people involved in the retail sales industry as well as a University of Ottawa professor who is an expert on solar-powered EV charging stations. The question mark for me is fuel. The next big thing was supposed to be hydrogen, or propane or electricity. They're touting electricity now, but we were touting hydrogen, propane, natural gas and other sources of fuel 10 years ago and they went nowhere. So, for me, the next 30 years will be waiting to see who invents the best way to fuel a vehicle. Will there be as many dealers? There were concerns that we would see fewer. The reality is that, right now, some manufacturers are adding more dealerships. There are people who say the dealerships will diminish because people will buy cars online, but I don't necessarily believe that, because if that was the case, they'd be doing that now. People will want to see the car they're going to buy. Dealerships have changed dramatically. Where do you see that going? It's all about the customer experience and realizing that customers have choice - and making their experience in the dealership that much more positive. At the end of the day, if you take your car in to be fixed, it's going to cost you money. So, the idea is to give people a positive experience, to not make it any worse for them. I see that trend continuing and growing. I see dealerships now that are putting in cook counters, where you can have a full lunch. They have Wi-Fi, work stations, printers so you don't have to miss time from work. It's no different than the hotel industry, which is a home-away-from-home environment. Dealerships are just reflecting that. I see that growing. We've done a good job as an industry. I see fractional ownership among millennials. They are either going to own cars and sub-rent them out or they will just rent what they need. But that will change once they have families and then the need (to own) will increase, and I think you'll see a shift back to typical ownership like we see today. I see a different model. Millennials are buying things like clothing online, and they go to retailers to see the product, but then go home and order it/them online. I see that happening in our industry. You will still have the service aspect, but that may change. It might be that servicing will be done at the consumer's convenience. You will take a mobile service to the consumer, and if it's something major, then you bring the vehicle into the shop. The example I use is that you don't take your washing machine in to have it fixed; somebody comes to fix it at your house. What will electrification do to the automobile industry? I see a mix. I see fuel cells and internal combustion. I think electricity is just the catalyst to get the movement going in that direction. I don't think it's the end game. It's not viable. Autonomous cars? I see driver-aided cars, but I don't see them being completely autonomous. There is too much to rely on, starting with the system in the car itself. What if it fails? It's a skill to be able to drive. Do you want to lose that skill? I don't think so. There is something positive about autonomous cars, though. They will be great for older generations. There won't be restrictions if you're 85 or 90 - you can still own a car and not have to worry. Last, I talked to Prof. Hussein Mouftah, Canada Research Chair and Distinguished University Professor, School of Electrical Engineering and Computer Science, University of Ottawa. 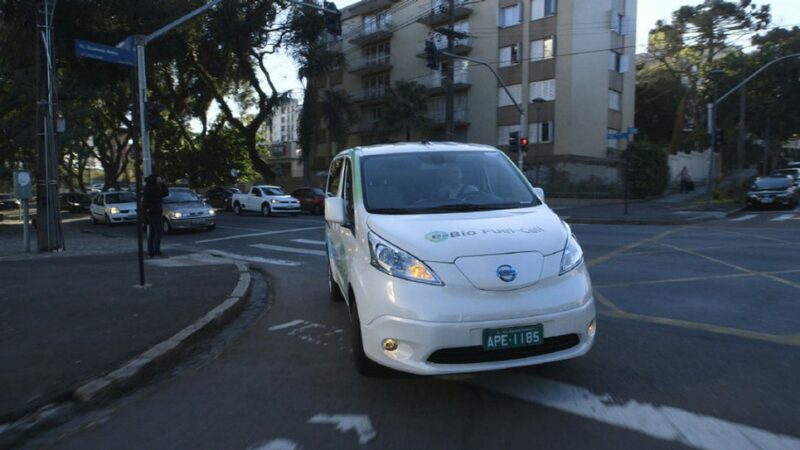 There will be more electrification of cars, whether they are taxis or shared cars. Buses will also be electrified. More than 75 per cent of vehicles will be electrified. But not all of them will be autonomous because some people will still like to drive. I would suggest 30 to 40 per cent of vehicles in the next 30 years will be autonomous. People who do not like to drive will participate in shared-car networks. What will electrification do to the automobile service industry? There will be a changing of skills and manpower. When automation was introduced, we were concerned that jobs would disappear. But the jobs did not really disappear; they just changed in nature. We have seen the Internet. There were fears that some jobs would disappear but it turned out that other jobs were created and people are now working in the Internet industry. Jobs will be created according to the change of technology - the advancement of technology. Will there be fuels other than electricity? For sure. We've been talking 75 per cent electrification, but hydrogen will play a part, as will gasoline. However, if I compared the hydrogen business with the electricity business, I would say electricity will grow much faster. Batteries will become smaller, and as they get smaller, the rate of electrification will become that much faster. You might change the battery instead of charging it. And if that happens, the batteries will also be cheaper. The Ontario government wants many more people to purchase EVs. Will the price of electricity go up for EV owners? Not necessarily. The government is encouraging people to buy EVs, and that's why they have a rebate system. But those rebates may stop if a large number of EVs are on the road. Perhaps the attention will then turn to mass transit - buses and trains will be electrified. LRTs will be completely electrified. And to all of the above, I say: We'll see.